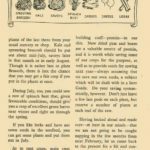 By June 1945 the celebrations for the victory in Europe were over. 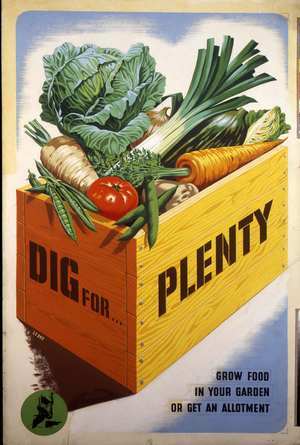 The government was very aware that the struggle was far from over and that the need to dig for victory was as great in 1945 as it had been in 1940. 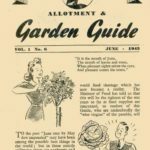 This leaflet starts by stating that the world food shortage was a reality that could not be ignored and 1945 would be the most difficult of the war with regard to food supplies. This was not the time to put the spade back in the shed. 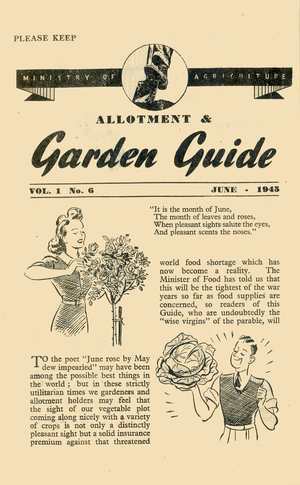 The original June 1945 Dig for Victory wartime growing leaflet consisted of 8 pages which I have followed by reproducing the content onto separate pages. 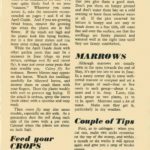 Where an article runs onto two pages these have sometimes been combined into one page for readability or the trailing content moved onto the relevant page. 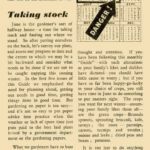 The June 1945 guide starts by warning that 1945 will be the tightest year of the war for food supplies and that the economic battle has started. 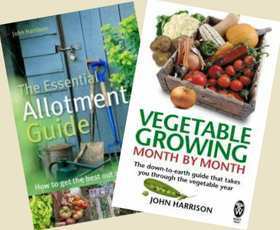 Thinning direct sown crops like carrots, parsnips etc and the cultivation of tomatoes including sideshooting, watering and feeding. 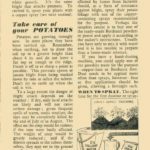 Wartime advice on earthing up potatoes to prevent blight from reaching the tubers and spraying with copper based fungicide such as Bordeaux or Burgundy mixture or dusting with powders. 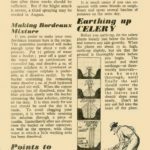 This page covers spraying potatoes against blight with Bordeaux or Burgundy mixture and how to make those mixtures along with information on earthing up celery to blanch it. 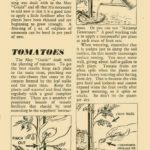 This page from the wartime guide covers some pest control, feeding plants, successional sowing of lettuce, sowing marrows and a couple of useful tips. 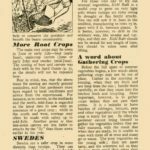 The last page of the monthly growing guide concentrates on root crops; carrots, beet and swedes with some excellent advice for harvesting your crops.